Almost four decades ago, Michael Parris punched his way to a bronze medal at the Olympic Games which was staged in Moscow, Russia. 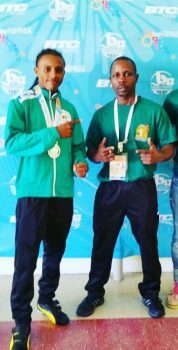 Fast forward to 2017, Parris’ feat still remains the only podium finish for a Guyanese in any discipline at the world’s most prestigious Games. Keevin Allicock and coach Seibert Blake. Many local athletes have tried to join Parris in rarified air but have fell woefully short. 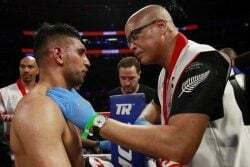 Enter Allicock dreams of winning Olympic gold, he believes that he possesses the talent to emulate the bantamweight who first put the Golden Arrowhead on the medal table at the Olympics. 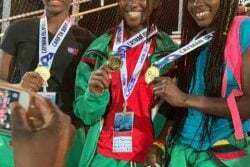 Fresh off winning a silver medal in the 52kg division at the Commonwealth Youth Games in the Bahamas, the 18 year-old fighting pride of Albouystown has big dreams, Olympic medal dreams. Allicock’s coach, Seibert Blake who accompanied the young talent in the Bahamas, cosigned his charge’s dream. 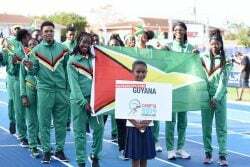 Who will medal for Guyana at the 20th Commonwealth Games?